Keywords are the building blocks for any website. Keywords can be present in the domain name, the H1 tags, the page title, page description, throughout the content and in the anchor text used. Keywords therefore are not only the building blocks of your website, but of your content too. When it comes to writing quality content for your website, it is generally wise these days to create one page or one post around 1 main keyword. The content however should contain an quality and in-depth overview of the topic (or keyword) which means using related words and phrases sometimes referred to as LSI keywords. LSI stands for latent semantic indexing and you can read more about it here. What will happen is that with the appropriate link building the page (or post) could end up ranking for many different keywords related to the main keyword that the content was built around. Your domain name refers to the name your website will be recognized by. It is what the users will click when they want to view your product. Getting the correct domain name may often sound like a no-brainer. However, it is important to always be cautious to avoid obvious mistakes. 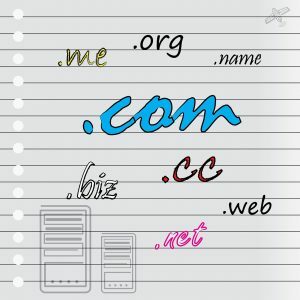 Some domain names will be chosen because they are the company or brand name; i.e. Coca-Cola.com and others may be chosen as a match to the keyword you are going after. This is known as an exact match domain (EMD). As of the end of November 2016 however, EMDs with poor quality content may be penalised. Partial match domains (PMDs) could be framed as a combination of a generic or brand name and a keyword or a variation of a keyword. Can a visitor to your site determine what it is about in the first 3 seconds (sometimes known as the 3 second rule)? In the area “above the fold” your site should clearly show the visitor that they are in the right place. In addition, your website should contain information for the visitor on what to do next – for instance your calls to action and contact details should ideally be prominent. A brand new website is at a distinct disadvantage from an aged, well established site. New websites can sand-boxed for a time before the search engines develop a trust for the site and its content. Thinks of it as a temporary filter. Regular content updates are said by many to be a good thing. But don’t just add content for the sake of it. The content must be well written, unique and on topic. Link building in the age of rolling Panda and Penguin updates is a science and should not be undertaken by inexperienced and ill-informed webmasters. The days of large numbers of low quality links from low trust websites are well and truly over having been replaced by quality and relevancy. An experienced SEO knows where to get links and what anchor text to use to achieve page one rankings for your keywords. This will depend on the team you hire to do all the SEO work for you. If you choose a well-experienced service, the chances are that they will be expensive. However, it follows that they will have enough experience to give you what you need. Choose a team that fits your budget but beware of low cost SEO as it is likely to be detrimental to your site’s prospects of ranking well and getting its share of traffic.